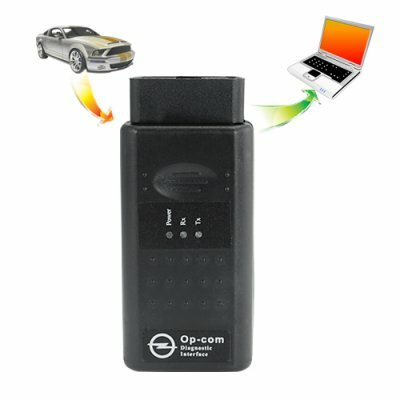 Successfully Added OP-COM OBD2 Diagnostic Tool with Software (Opel, Vauxhall) to your Shopping Cart. Perform your own diagnostics with this OBDII car tool designed for Opel and Vauxhall vehicles. This model works on almost all Opel cars dating 1992 onwards, including vehicles with CAN-BUS based diagnostic, such as Vectra-C, Astra-H, Zafira-B. OP-COM is a PC based Opel diagnostic interface program, that can read out and clear fault codes, shows you live data, lets you perform output test and supports remote and key programming. It is truly an exhilarating feeling when you actually know what the problem with your car is, rather than guess what the problem might be. Paying a professional mechanic to make any single change for you would cost an arm and a leg. After just a short time of use, this cable will effectively pay for itself in the money you save on gas and maintenance. Plus, driving will be much more fun. From the fault codes window, you can go directly to the measuring blocks window. The program shows you measuring block information on many control modules. The software application is capable of showing 8 measuring block parameter simultaneously. The sample rate depends mostly on the communication protocol. For example, older systems, like Omega-B X 25 DT Engine (ISO-9141-2) can be slow during communication, while newer Multec or Bosch units are faster (using KWP-2000), and the newest CAN based control units are very fast. With this OP-COM OBDII diagnostic tool you can reset and program the ECM, BCM, IPC. You can also reset and program the Service interval reminder on Astra-G, Zafira, Corsa-C, Meriva, Tigra-B and code SAB6, and SAB8 airbags with the software. This excellent Opel Vauxhall diagnostic OBD2 tool is in stock now, and available at an unbeatable factory direct wholesale price from, Chinavasion. IMPORTANT NOTE: As the wholesaler, we provide the package containing the CVFG-A24 diagnostic tools. Chinavasion provides no warranty or customer support regarding the use of this product. We cannot give advice regarding the software or tell you if your model car is compatible with this diagnostics tool. If you have questions regarding the use of this product we suggest you search for internet forums related to car maintenance. How does the connector select the appropriate pin for communication? There are a lot of terms I don't understand, like engine control units (ECUs), brake horsepower (BHP), and flashing. What do they all mean? Please check Wikipedia for a detailed explanation of these and other terms that are new to you.